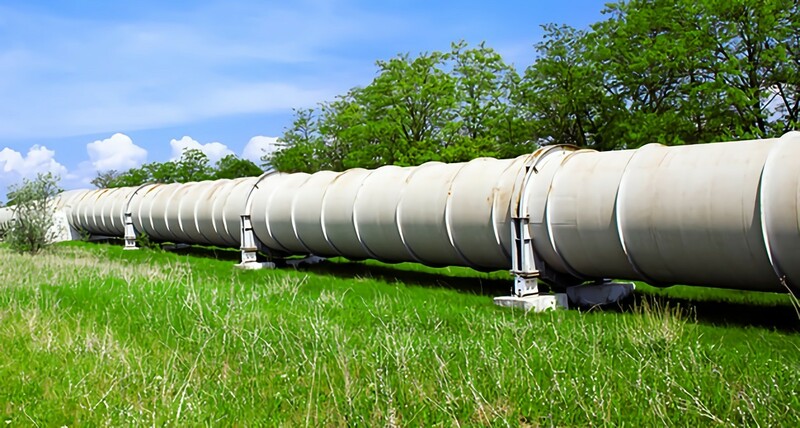 Whether gasoline for transportation, water for drinking and cleaning, or natural gas for heating homes, America’s pipeline infrastructure provides its citizens with the resources essential for daily life. So how is America’s infrastructure doing? Every four years, the American Society of Civil Engineers assigns a grade to the current state of U.S. infrastructure. Each of 16 categories—including drinking water, ports and wastewater—is evaluated based on capacity, condition, funding, future need, operation and maintenance, public safety and resilience. In 2013, the ASCE gave America’s infrastructure the grade of D+. A rating of D means, “The infrastructure is in poor to fair condition and mostly below standard, with many elements approaching the end of their service life. A large portion of the system exhibits significant deterioration. Condition and capacity are of significant concern with strong risk of failure.” This translates to a need for much of America’s infrastructure to be rebuilt. In order to make the necessary repairs by 2020, the cost of the materials and the labor of welders, pipefitters, and other skilled tradesmen is estimated to be more than $3.6 trillion. America began using natural gas in the late 1800s and early 1900s, which is slightly later than when the oldest pipelines were installed. Since that time, pipefitters and welders have built more than 2.5 million miles of gas, water, sewage, and oil pipelines. Today, more than half of America’s pipelines are at least 50 years old and are rapidly deteriorating. One expert named Rob Jackson, who is a professor at Duke and Stanford, remarked that the pipes built at the turn of the 20th century were “state-of-the-art” back then but outdated now. Many were either cast iron, which can turn brittle and burst, or steel, which is prone to corrosion. These pipes of the 1900s weren’t designed to last a hundred years. Just last spring, a 127-year-old gas pipeline exploded in New York, claiming the lives of eight people. In Los Angeles, 20% of the water lines are more than 85 years old and water main breaks regularly flood neighborhoods. More than a million dollars has been earmarked by the Department of Water and Power to replace over 400 miles of pipeline. Pipeline accidents, including huge ruptures, leaks, and explosions during repair, have killed more than 500 people since 1986. Few in California can forget the 2010 pipeline accident in San Bruno that hurt 50 people, killed eight, and left a crater in the ground half the size of a basketball court. A federal investigation found that the pipeline would not have stood up to today’s pressure regulations. However, since the pipeline was installed in 1956 prior to the implementation of those regulations, it was exempt from them. While most pipefitting schools teach the importance of regularly checking and maintaining pressure within lines, the government agency charged with overseeing America’s pipelines, the Pipeline and Hazardous Materials Safety Administration, only requires seven percent of the country’s natural gas lines to be inspected. Government organizations are beginning to carefully scrutinize the Pipeline and Hazardous Materials Safety Administration. Regulatory and reconstruction measures have been implemented, but replacing more than 2.5 million miles of old, deteriorating pipelines is a huge endeavor. Pipefitters have begun replacing the oldest lines of pipe and installing pressure sensors in the most sensitive areas. Accessing potentially unstable pipelines is dangerous, as leaking gas has the potential to explode when it comes into contact with an ignition source during pipeline repair. Old shut-off valves may malfunction or require extensive work to make repairs to a single section of pipe. Today, pipefitters and welders install automatic shutoff valves on newer pipelines to reduce the chances of explosion due to leaking lines. Vocational schools also train pipefitters extensively in areas of safety and best practices to avoid injury. A Congressional Research Report recommends replacing manual valves with automatic shutoff valves countrywide, starting with densely populated areas. The roughly 30,000 valve replacements will translate into $12 billion worth of labor for some of the highest paid pipefitters: those working in the oil and gas industry, where a mean annual pipefitter salary is $57,580. $12 billion is a conservative estimate when considering the costs associated with shutting down large sections of lines or moving above ground structures prior to the installation of such valves. As efforts to replace and repair America’s aging infrastructure continue, so too will a demand for the pipefitters, welders, and skilled tradesmen who initially played an integral role in its creation, proving these skills are as important to the proper functioning of the country as ever. Learn how to join the forces of men and women playing a pivotal role in the safety of their countrymen by contacting Tulsa Welding School today.